Elegant and beautiful, this extravagant side accented floral headband has a stunning rhinestone encrusted flower set to the side with diamond pearls and rhinestone detailed petals in the centre of the flower. 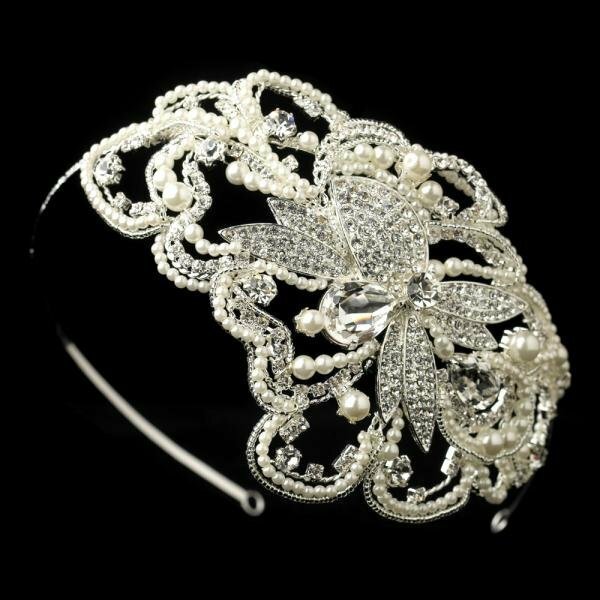 A sensational bridal headpiece for brides that want to make a statement. Matches best with off white or ivory wedding gowns.